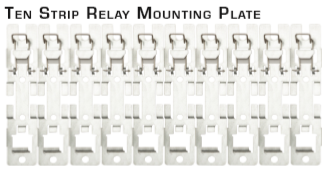 The RE-WR-MP relay mounting plate is a custom designed relay holder to fit WR-6161 and WR-6172 relays. 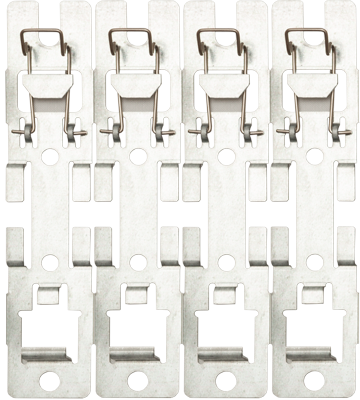 Each RE-WR-MP has ten relay slots that can easily be separated into whatever quantity is needed. Quick release of relay by spring clip. Compatible with RE-WR6161K-84 and RE-WR6172 relays. 116 mm L x 25 mm W x 13 mm H (4 9/16" L x 1" W x 1/2" H). 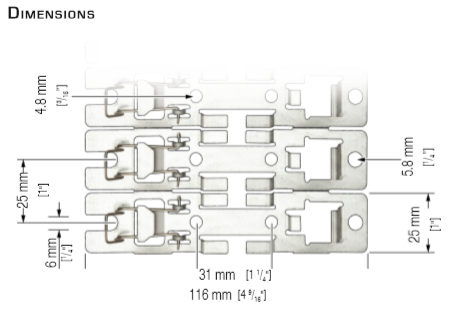 Total Dimensions - 10 Units: 116 mm L x 250 mm W x 13 mm H (4 9/16” L x 9 13/16” W x 1/2” H). Capable of mounting up to 10 relays. Mounting plate can be broken apart as required.